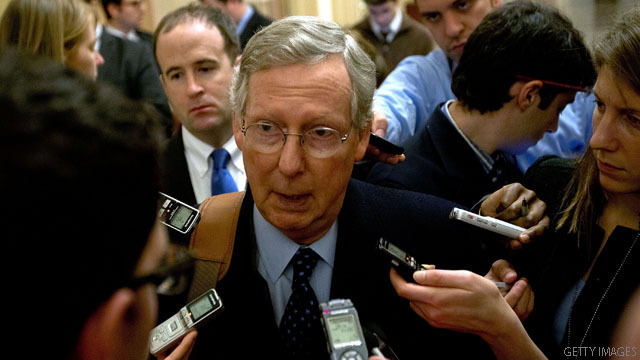 (CNN) - Hours after Congress sent a bill for the president's signature to avoid the fiscal cliff, Senate Minority Leader Mitch McConnell is already gearing up for the next showdown. The Kentucky Republican wrote in an op-ed that President Barack Obama should be prepared to "have a fight" over government spending and the debt limit in the coming weeks, adding that the tax debate is now a thing of the past with the new legislation. Washington (CNN) - Senate Majority Leader Harry Reid has put off for another day a potentially ugly fight over filibuster reform, a Democratic leadership aide said Wednesday. 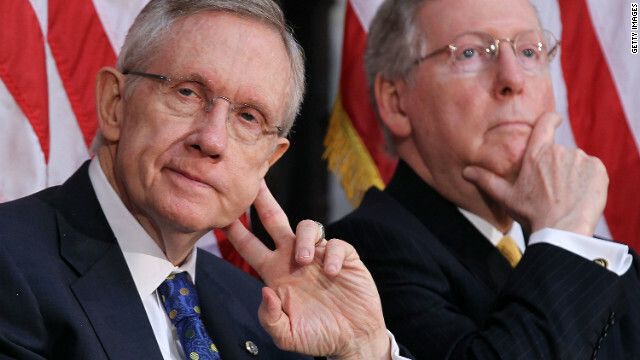 The issue was set to come to a head Thursday when Reid was considering forcing a major change of Senate rules – over the objections of Republicans - that would have made it harder for GOP senators to filibuster beginning debate on measures they oppose or want to amend. (CNN) - Secretary of State Hillary Clinton has been discharged from a New York hospital after spending three days being treated for a blood clot, the State Department announced Wednesday. 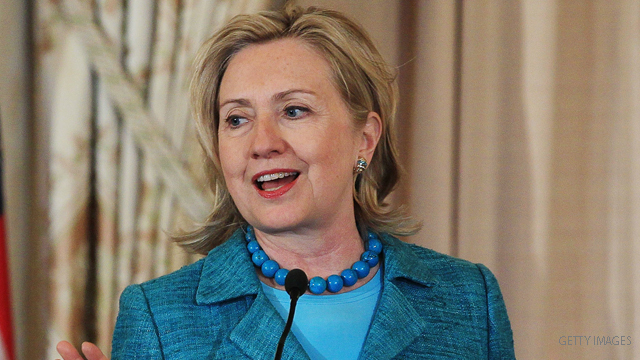 Secretary Clinton was discharged from the hospital this evening. Her medical team advised her that she is making good progress on all fronts, and they are confident she will make a full recovery. She's eager to get back to the office, and we will keep you updated on her schedule as it becomes clearer in the coming days. Both she and her family would like to express their appreciation for the excellent care she received from the doctors, nurses and staff at NewYork Presbyterian Hospital Columbia University Medical Center. Chelsea Clinton also posted about her mother's release from the hospital. Grateful my Mom discharged from the hospital & is heading home. Even more grateful her medical team confident she'll make a full recovery. CNN's GUT CHECK | for January 2, 2013 | 5 p.m.
Debt Ceiling: Late February/early March… Treasury has said that the fiscal cliff made it hard to predict how much time its “extraordinary measures” will buy. Usually it’s about two months. Expect more guidance from Treasury, especially as we get closer. The United States was on track to hit the $16.394 debt ceiling limit on Dec. 31 without the extraordinary measures. Sequester/Budget Cuts: March 1… The fiscal cliff bill pushes back the sequester to Friday, March 1. Without a change, President Obama must order the sequester in place on that day. CLINTON UPDATE: Clinton said to be speaking with staff, active … Secretary of State Hillary Clinton has been speaking with her staff – and is active on the phone from the hospital according to State Department spokeswoman Victoria Nuland. Washington (CNN) - Certain Republican lawmakers said Wednesday they'll now vote for John Boehner's re-election as House Speaker, despite earlier offering uncertainty over whether they'd cast their vote for the top Republican. Rep. Michael Grimm, the freshman Republican who represents Staten Island, said he would "absolutely" vote for Boehner, hours after saying he would likely abstain when the House votes for the position on Thursday. 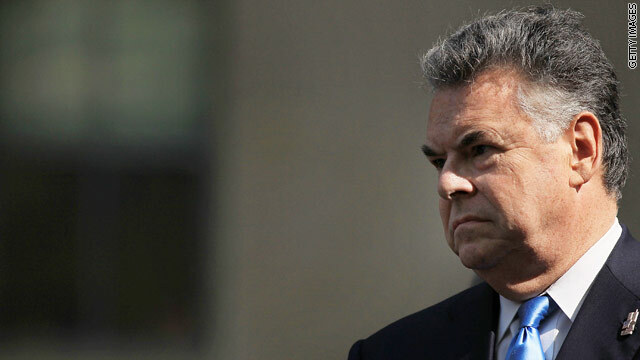 (CNN) - Republican Rep. Peter King of New York said Wednesday that House Speaker John Boehner has promised a vote Friday on $9 billion in disaster aid for Superstorm Sandy and then another vote on $51 billion in aid on January 15. King and other lawmakers have been highly critical of House leadership, especially House Speaker John Boehner, for not allowing a vote on the federal package before the current Congress wraps up Thursday. 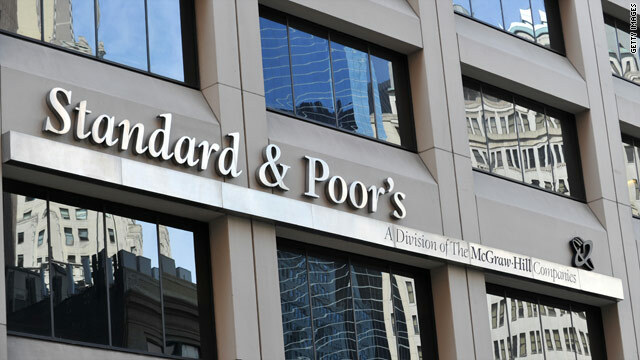 London (CNNMoney) - Credit rating agencies are likely to hold off passing judgment on the U.S. credit rating until they have a clearer picture about the fate of the debt ceiling and longer term plans to reduce borrowing. The New Year fiscal cliff agreement between the White House and Congress raised taxes on the richest Americans but postponed much of the toughest political wrangling on automatic spending cuts for another two months. 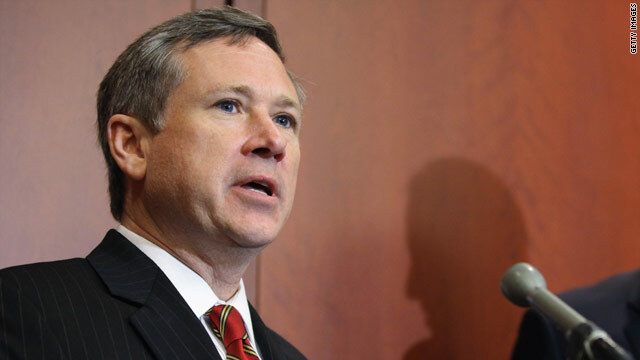 Washington (CNN) - Sen. Mark Kirk (R-Illinois) will make a triumphant return to the Senate Thursday, following a year's recuperation from a stroke. The senator's office said Kirk, 53, plans to climb up the steps of the Capitol building– a new milestone for a man who participated in intensive walking studies as part of his physical therapy. 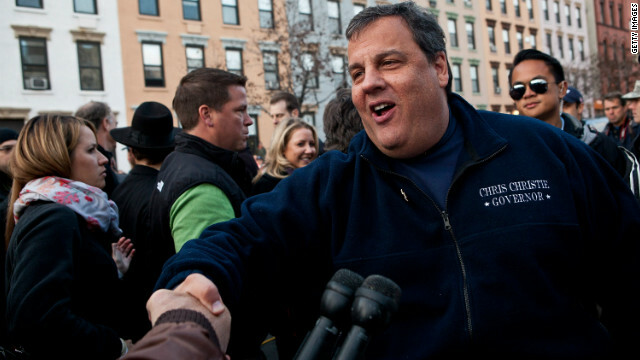 (CNN) – In a rare display of fierce intraparty sniping, New Jersey's Republican Gov. 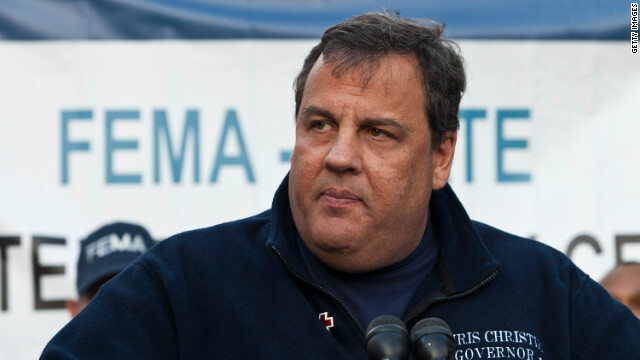 Chris Christie took the GOP House speaker to task for delaying a vote on federal funding for states affected by the devastating superstorm Sandy. Christie, speaking the day after the Republican-controlled House of Representatives refused to take up the $60 billion relief measure already passed by the Senate, said culpability for sustained distress in his state rested solely upon GOP lawmakers.